Augmented Reality (AR) is a research topic that is currently obtaining a lot of attention and media coverage. While the current AR hype is mainly due to AR on mobile devices, there is a long history of AR applications for industrial and medical use. 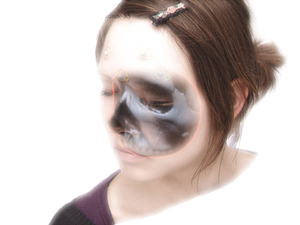 Especially in the medical domain, the idea of using AR to have a "x-ray"-view into the patient e.g. during a running surgery is very appealing and would bring a lot of benefits to surgeons. In this seminar the most important technologies, issues and applications of medical AR are covered. Different display and tracking technologies, issues like registration and depth perception and a range of applications will be discussed in detail. Another related topic is user interfaces for medical applications. There is an increasing number of devices and information in the OR. On one side this has a lot of advantages for the surgeon, on the other side the surgeon has to handle many devices and has to process all the information. Furthermore interaction with devices is difficult as the surgeon has to be sterile and can not use mouse and keyboard. So there is an increasing interest in novel user interfaces using e.g. gestures. Present the selected subject to the other participants (30 minutes, followed by a short discussion). Attend all seminar sessions and participate. Each presentation is followed by a discussion and everyone is encouraged to actively participate. The report must include all references used and must be written completely in your own words. Abstract: Augmented Reality (AR) is a research topic that is currently obtaining a lot of attention and media coverage. While the current AR hype is mainly due to AR on mobile devices, there is a long history of AR applications for industrial and medical use. 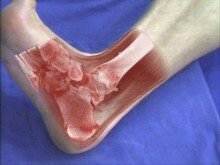 Especially in the medical domain, the idea of using AR to have a "x-ray"-view into the patient e.g. during a running surgery is very appealing and would bring a lot of benefits to surgeons. In this seminar the most important technologies, issues and applications of medical AR are covered. Different display and tracking technologies, issues like registration and depth perception and a range of applications will be discussed in detail. Another related topic is user interfaces for medical applications. There is an increasing number of devices and information in the OR. On one side this has a lot of advantages for the surgeon, on the other side the surgeon has to handle many devices and has to process all the information. Furthermore interaction with devices is difficult as the surgeon has to be sterile and can not use mouse and keyboard. So there is an increasing interest in novel user interfaces using e.g. gestures.